iOS 7 has been available for about three months now, three very long months for jailbreak fanatics who can’t fathom the idea of not having their favorite tweaks on their device. 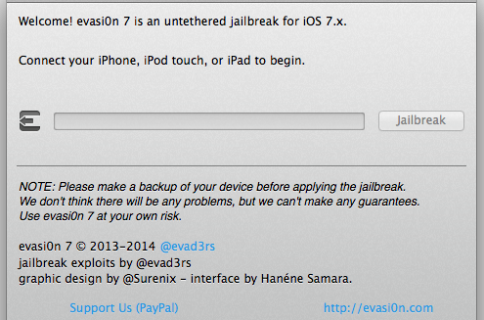 As always, a lot of pressure was put on the prominent jailbreak team of the moment: the evad3rs. 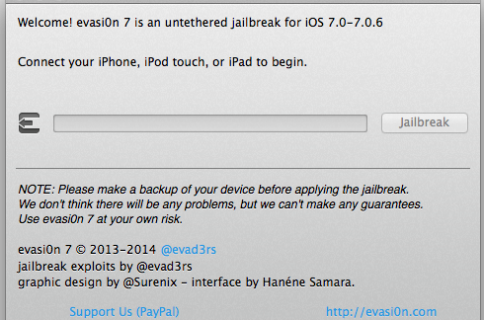 But unlike last year when evad3rs would regularly give updates about their progress, we haven’t heard anything about the jailbreak until this morning when evasi0n7 dropped. With the upcoming release of iOS 7.1, it actually seems that this jailbreak was rushed out the door. When asked if today’s release of the iOS 7 was planned or just the result of recent events – such as the claim that parts of the jailbreak were stolen from evad3rs and sold to a third party – our source tells us that this rumor, as well as the fact that some other team was close to release something, rushed things out a bit. As our source claims, the evad3rs had spent so many hours on this jailbreak, that they couldn’t afford to have their work undermined by another team. So instead of releasing their jailbreak a few weeks from now, it was released today, surprising everyone including Saurik. Geohot is a name that came up during the conversation we had with our source. Apparently, geohot was very close to release his jailbreak. The evad3rs knew for a fact that geohot was racing them to release a jailbreak first, which would have put the spotlight on him and put the evad3rs in the shadow. More importantly, and this is what should be remembered as the main reason why evad3rs decided to release their jailbreak today, is the fact that these other teams, including geohot’s were suspected to release a jailbreak with key vulnerabilities that the evad3rs wanted to keep for future jailbreaks. Vulnerabilities exploited by the evad3rs in evasi0n7 had been carefully handpicked as a strategy to keep a lead on Apple’s patches. 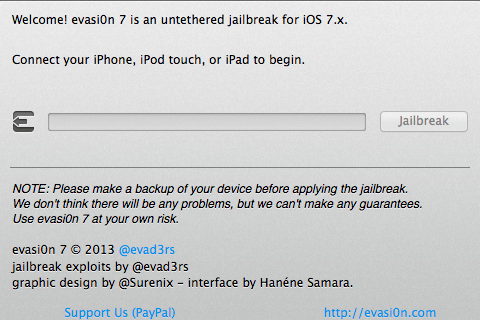 In short, releasing evasi0n7 today prevented other teams from releasing a jailbreak that would have given away more critical exploits for Apple to fix. At this point, we cannot tell if these other vulnerabilities the evad3rs are sitting on will be usable in iOS 7.1, but if their strategy of carefully picking exploits used in evasi0n7 is successful, it means that we may be able to get a jailbreak for a future iOS update as well.